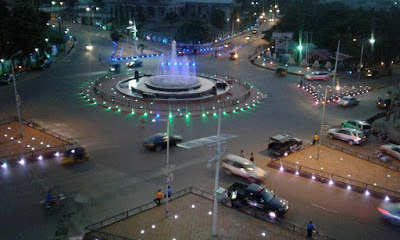 \ Ebonyi state Governor, David Nweze Umahi, surely is doing his best to give Ebonyi state Capital (Abakaliki) a new look. Dave Umahi, is aggressively re-positioning the state capital to a great look thereby putting words in the mouth of people. In his administration so far, many things have been recorded. such as, modern roundabouts, roads, flyovers etc. I doff my 🎩 hat for our talk and do Governor.. The man wey Sabi.. Who's aggressively repositioning our State to greater height... You're indeed God sent. Ebonyi people are happy.. Looking at this pictures you'll agree with me that Engr. David Nweze Umahi FNSE FNATE is working. To God be the glory..